Social Security provides the security of survivors benefits to the spouse and children of a deceased worker. Social Security also provides survivor benefits to a divorced spouse if the marriage lasted 10 years, or if the divorced spouse cares for a natural or adopted child of the deceased who qualifies for benefits. The Social Security Administration reports that 5 million widows and widowers receive benefits based on the deceased spouse's earnings record. The deceased worker must meet qualifications for the survivors to collect benefits on her work history. No worker has to have more than 10 years of work history and payment into the Social Security system. Under a special rule, a deceased worker can work 1 1/2 years within the three years prior to death and the survivor can qualify for benefits. If a deceased worker receives retirement or disability benefits at the time of death, Social Security does not require qualification, but will consider the credits already calculated as sufficient for determining survivors benefits. Remarriage prior to age 60 can cut the survivor out of survivors benefits unless the marriage ends by divorce, death or annulment. The age of the surviving spouse or surviving divorced spouse factors into the benefit amount. A widow or widower can collect survivors benefits as early as age 60, at a reduced amount. Full retirement age for the survivor is determined by birth date. Age 66 is full retirement age for those born between 1945 and 1954. If the deceased spouse collected benefits before full retirement age while alive, the benefits reflect early retirement figures. The survivors benefits are limited to what the deceased would have received while alive. The surviving spouse at age 60 can receive 71.5 percent of the deceased spouse’s benefits. A surviving spouse or divorced spouse waiting until full retirement age can receive 100 percent of the deceased spouse’s benefits. Employment income can affect your survivor benefits if you take benefits before your full retirement age. Employment income in 2010 is limited to $14,160 before imposition of a penalty of $1 for every $2 earned over that amount. If you collect survivors benefits at age 60 and have a work history that qualifies for your own Social Security retirement benefits, you can change over to your own benefits at age 62 or wait until full retirement age and allow your benefits to accrue. Talk with a Social Security representative at the local office or by telephone to get the most out of the Social Security system. 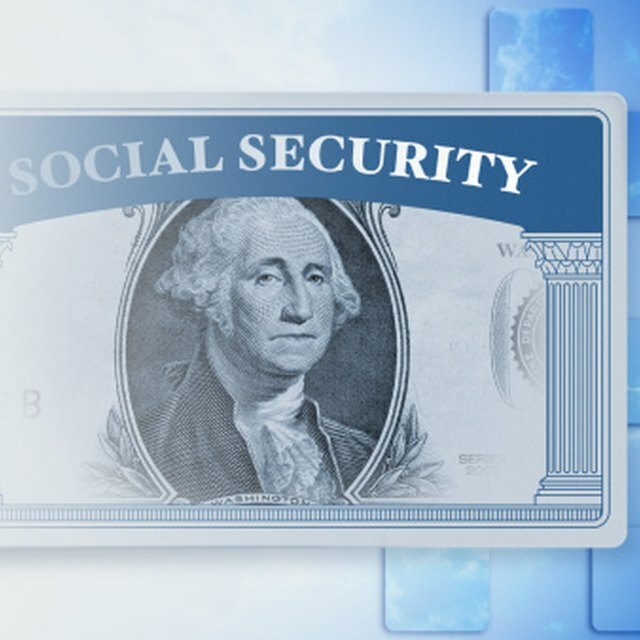 Social Security Online: How Much Would Your Benefits Be?